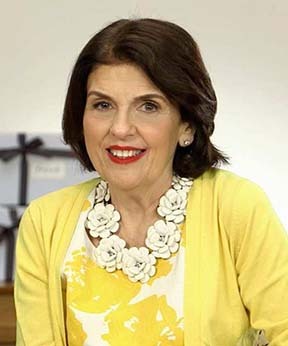 Best-selling book author, web publisher, and businesswoman, Susan Miller’s achievements and contributions to the field of astrology have made her an authority in her field. From Wall Street brokers to the models on fashion catwalks of Paris, Milan, and Tokyo; from readers in cafés in New York, Beijing, and Sao Paulo, to those discussing her words in New Delhi and Istanbul, people everywhere turn to Susan to advise, teach, lecture, and lead them toward success in both their personal life and business endeavors. So much of Susan’s success is due to her clear, easy-to-understand descriptions. Susan lives by the principle that even the most complex subjects can be made simple. An accredited astrologer by the International Society for Astrological Research, Susan will always give the provenance of each astrological aspect in language that lay people will quickly grasp. A second generation astrologer, Susan learned the subject from studying with her mother for twelve years starting at age 15. Susan founded her website, Astrology Zone® (www.astrologyzone.com), in December 1995, which is now celebrating its twentieth anniversary. She tirelessly writes between 30,000 and 48,000 words a month (divided by 12 signs), creating comprehensive and detailed forecasts published free for her readers. Each year it serves 100 million page views to 6 million unique readers. Susan also has a wildly popular app, “Susan Miller’s AstrologyZone Daily Horoscope,” that appears on the iPhone, Android, Samsung Galaxy, Apple Watch, and a specially designed app for many tablets, including iPad. These apps are free to download. Once inside the app, users have the option of upgrading to her app’s premium edition that has longer daily forecasts plus Susan’s many insightful essays. The cost to upgrade is $4.99 for one month, or users can opt for a yearly subscription for $49.99. Readers who do not have a smart phone can receive the same daily horoscopes for all 12 signs by email by subscribing to www.DailyAstrologyZone.com. Each month Susan writes for eight top international fashion magazines and is the author of ten books. She also developed My Personal Horoscope where, for $55.00, readers can order a custom horoscope book to explain his or her natal chart. This is made possible by print-on-demand technology. Readers need to know their day, month, year, precise time, and city of birth. Go to www.MyPersonalHoroscope.com for complete information. In February 2015, she started Astrology Zone THE SHOW with producer Paul Duddridge, formerly of London, now living in Los Angeles. Mr. Duddridge built an elaborate newsroom set for Susan’s monthly show and hired one of the composers of Hunger Games to write her music. A professional crew works with Susan on set to create television quality films. The show, currently hosted on Vimeo, is enthusiastically received by viewers and is climbing steadily with over a million viewers a month.